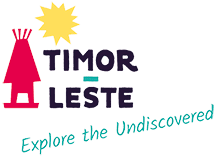 Snorkelling is a must do when visiting Timor-Leste – it is a truly wonderful experience whether you have snorkelled before or it is your first time. Atauro and Jaco Islands are the most popular snorkelling locations due to the clarity of their warm tropical water and rich marine life. In close proximity to Dili, along the very scenic northern coast, there are other great sites, usually requiring a short boat ride or swim from the beach. The incredible variety of coral and fish species is quite overwhelming. Timor-Leste lies at the southwest corner of the famous Coral Triangle. This contains nearly 600 different species of reef building corals and more than 2,000 reef fish species. While some dive companies and accommodation places rent snorkel gear it is recommended that you bring your own set if feasible. Once will definitely not be enough. Most diving companies are happy to take snorkellers on trips.